SPRING IS HERE! 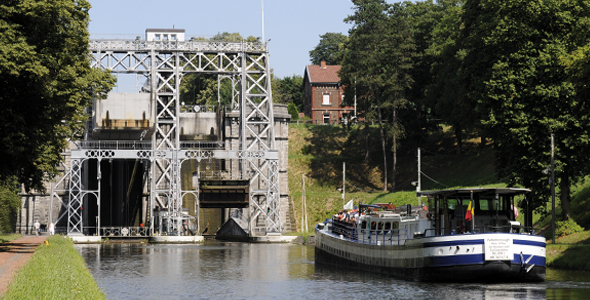 19 REASONS TO DISCOVER THE HAINAUT! DID YOU KNOW THAT WE HAVE 19 HISTORIC SITES INSCRIBED BY UNESCO WORLD’S HERITAGE? Enjoy the nice weather to discover our beautiful area! Just so close to the Orange Hotel, you’ll have a boat cruise on the historical water canal on the road to the old and new boatlifts, or a nice visit of the amazing Seneffe Castle. You and your family would have fun in the “L’Eau d’Heure lakes” or in the giant zoo & park Pairi Daiza. You’ll taste fantastic regional beers as the Binchoise or the Saint-Feuillien. Or maybe you’ll be interested by the folkloric events as the Carnival or the Doudou of Mons? Enjoy your stay and see you soon!